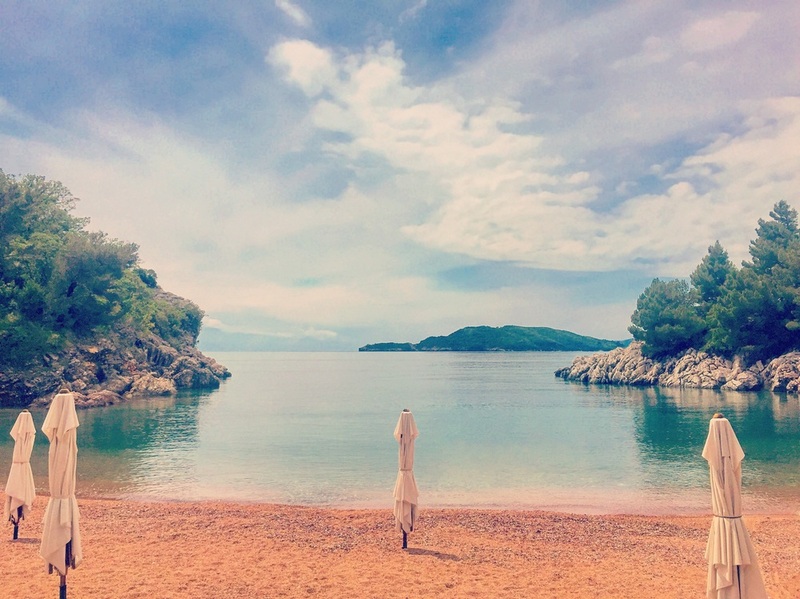 Beside the main review of the Aman Sveti Stefan, I decided to do an extra review on the Aman Spa, the beach as well as the dining experience at the Aman Signature Restaurant. 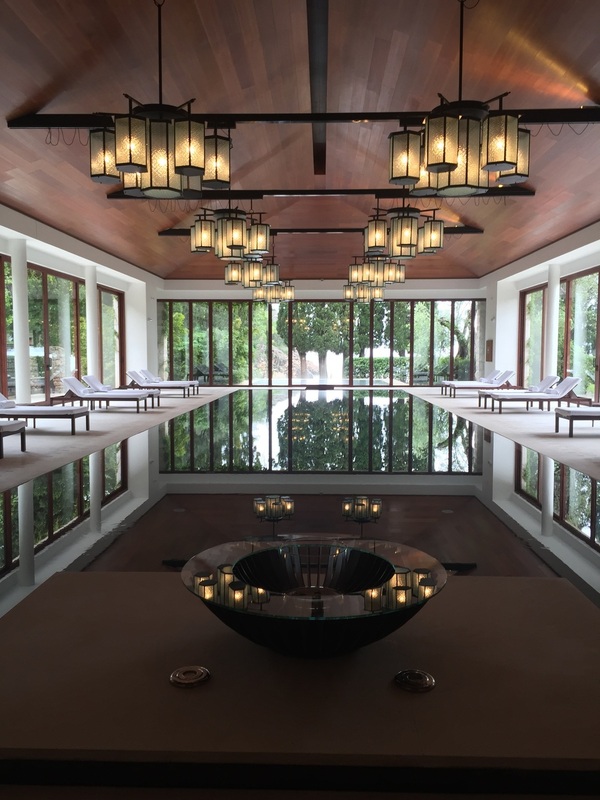 As a special ocassion - you're not staying at an Aman every day - I enjoyed one of their famous Aman Signature Treatments. So after breakfast I whizzed over the bridge to the hotel car which brought me directly to the Aman Spa, situated along the Queen's beach - the most wonderful of all three beaches. Immediately after opening the doors of the spa building, I was welcomed by the staff members, who also knew my name without asking. Due to the fact that I still had a couple of minutes left until my treatment was scheduled, I decided to have a brief look on the new indoor pool. Situated in a cool, long hall, this indoor pool was perfectly heated and there was the possibility to swim outside, which was kind of even more attractive due to the trees and the beach next to the pool. Before I could take a closer look on the facilities, I was already picked up and brought to the vast treatment room at the end of the spa building. With a separate entree, a daybed, bath tub with two relax chairs, double basins, walk-in shower and separate treatment room overlooking the picturesque gardens of the resort, this treatment room really felt more like a spa suite than a usual treatment room. Although the treatment was really good and the pressure was very well, I rather was relaxed than impressed. Anyhow it was as good as at other upscale wellness resorts in the world. Before I headed back towards the pool, I had a look onto the fitness center, which is located on the first floor and features latest equipment by TechnoGym. 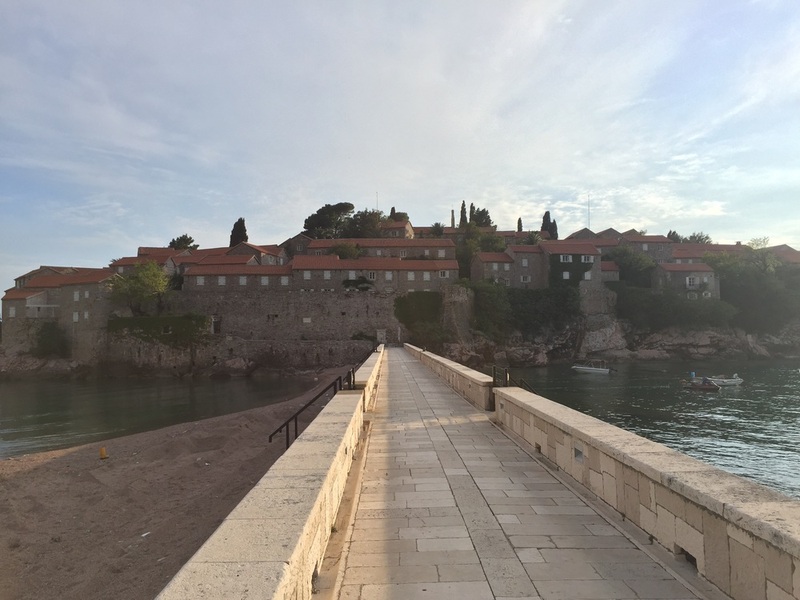 Luckily, the sun was coming out soon after my treatment and without hesitating long, I was popping towards the Queens Beach in front of the spa. As soon as I stepped the first foot into the water, two staff members arrived and asked if they can prepare a lounge chair and bring me some towels. I accepted their kind offer and enjoyed one of the most famous beaches along the Mediterranean Sea. Although the water was not as warm as in august, I promised myself to at least bath once in this famous beach, being the resort's most spectacular place. Before I was even able to get to the lounge chair, one of the staff members already arrived with a towel in the hand so that I can dry myself! That's kind of a Wow-effect and something I expected from an Aman resort! Well, when you see so many luxury resorts like we do, you are registering much harder if something is unique and worth the splurge. Well, this service really makes Aman unique and your experience one-of-a-kind experience. After my amazing and truly unforgettable day on my own Queens Beach (no other guest joined me and I was swimming more than once :-) ), I headed back to the island and got myself refreshed. Before I was ready for dinner tough, I wanted to enjoy a cocktail on their amazing terrace in front of the bar. 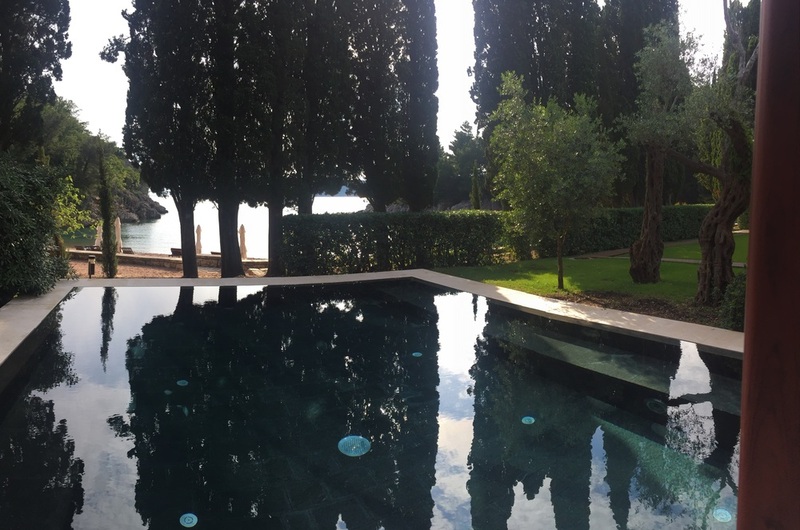 Overlooking Budva and the coast of Montenegro, both, the terrace of the bar as well as the restaurant have unparalleled views of the sunset and one of Europe's most impressive landscapes. Service was great as used and there was perfect advice on the cocktail. The evening continued to be perfect, hence I arrived at the restaurant when the sunset was at its full blossom. An extremely nice team of employees greeted my and the lovely hostess showed me my table and offered me her assistance during the dinner. I found the menu to be perfect and I wasn't only impressed by the views but also of the variety. As it might seem steep to charge 16 euros for a Buratta cheese, it is absolutely okay at an Aman resort as it comes with an excellent service and a unique setting. After the starter I had rosemary risotto with black truffles - and yes it was simply amazing (30 euros is what you also pay in an upscale restaurant in the middle of Milan). My main course was a corn-fed chicken breast with rosted potatoes - again perfect. All in all the food outlets were absolutely perfect and fully met my expectations.